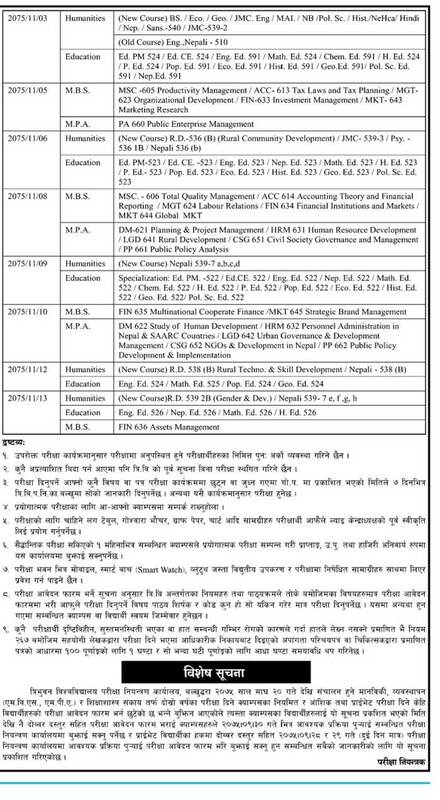 As per routine, the examination of Master's Level 2nd year 2075 will start from Magh 20, 2075 and will ends on Falgun 13, 2075.The Examination Time has been set from 11:00 am to 3 pm. 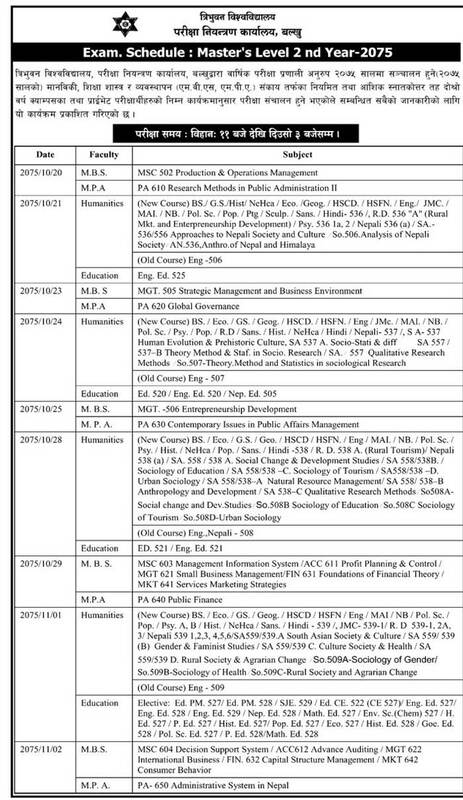 Those Students (of Humanities, Management, Public Administration, and Education Faculties) who failed to submit examination form can submit their examination form in their respective campuses/colleges by paying double fee before Poush 30, 2075. Private students can submit their exam application form in the examination controller office on Poush 28 and 29.